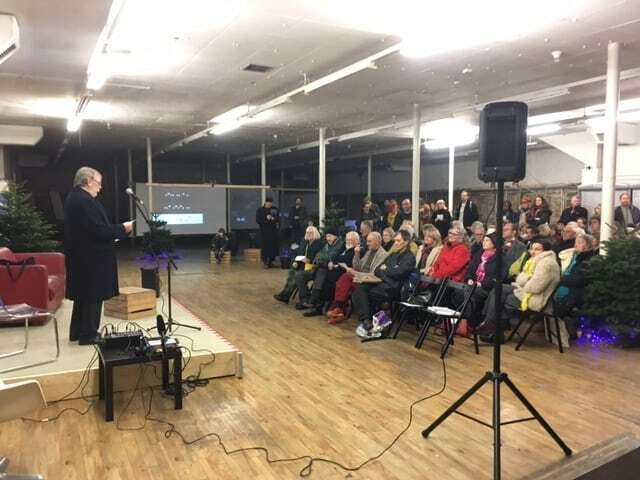 More than 100 people turned out for the launch of a Margate project to open a fabrications laboratory predicted to create 80 jobs in two years. The Margate School has secured £499,000 from the Coastal Communities Fund to provide early technological support for the ‘creative cluster’ that has grown up around Turner Contemporary. The aim is to help revitalise ‘ghost premises’ with The Margate School taking up space in the High Street with a ‘Pop Up’ facility for digital printing and imaging with analogue. The school will also use the old Midland Bank building and adjacent shop premises for specific enterprise training/workshops for desk-based support and mentoring sessions. Mr Fenwick, who is also a founder director of TMS, spoke on the huge potential for economic impact in a deprived area. 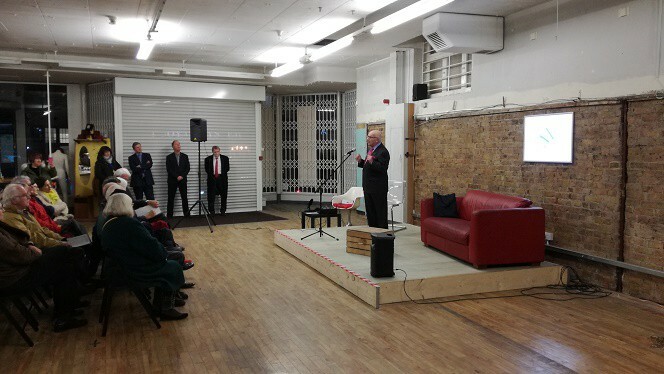 Thanet council leader Bob Bayford referred to the enormous national importance of the creative industries and how well placed Margate was to continue the momentum of the Turner Contemporary which continued to attract creative workers. Richard Ash, chair of Margate Town Team, said there is a need to diversify high streets severely challenged by changing shopping habits. This would help secure the future for niche retailers such as the ‘retro market’ in Margate. The project will include internships for students and emerging creative professionals and the equipment will be available to local creative businesses alongside professionals for training and prototyping and testing purposes. TMS will be working closely with the Margate Museum, Margate Civic Society and other heritage community groups on town and coastal trails. There are also plans for summer schools and a close liaison with the Rouen-Le Havre Art School. The Margate School is a Charitable Incorporated Company and says it will be an internationally connected liberal arts school which by Year 5 aims to be taking 3,000 students with creative and digital economy initiatives run in partnership with Canterbury Christ Church and other education establishments. The Margate scheme was one of 16 successful ‘Fast Track’ projects to receive a share of £6 million from the government fund. This month it also launched the launched the festive light project with local high street traders. 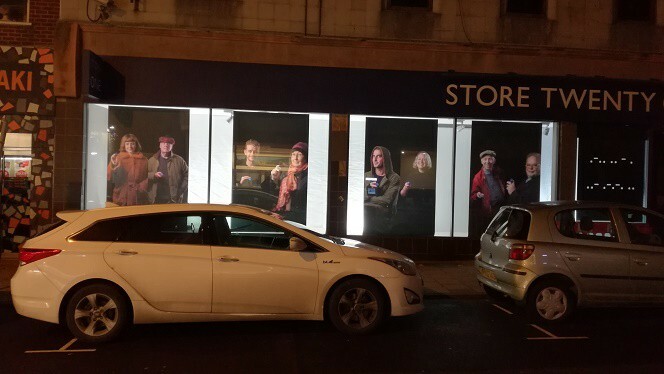 The project has portraits of traders on display in the windows of the former Store 21 building. A report commissioned by Thanet council last year found that creative businesses, including artist studios, are on the rise across the isle. Published in June 2017, the report stated there had been an 84% growth in creative businesses in the district and Margate had a 71% increase in artist studios over the last 4 years. Creative industries are key to the UK’s economy, contributing nearly £90bn to the economy in 2015 and providing 2.9m jobs. 160% growth in film and TV businesses as well as a 330% growth in technology organisations in Thanet over the last four years. If this investment goes ahead perhaps we could have some decent xmas lights and a tree on the front – its shameful to have a few cheap lights on the clock tower?? Haven’t they done all this art installation stuff in empty shops already? Why are the council so obsessed with art & throwing money at the Turder Centre & the surrounding hipster shops, while continuing to ignore the dump of a high street & seafront? People don’t see King Street & the Harbour when they get off the train or bus-they see Arlington House, the tatty seafront & the dead high street with empty shops, the homeless sleeping in the doorways & filthy pavements.